Awesome clean racing out there from everyone! The rain just barely held off for us. Congratulations to Team 233 Van Winden Racing and 335 OB Prestige Auto on their hard fought victories. And a huge thank you to all the Corner Workers, safety team, and staff at Weather Tech Laguna Seca that helped keep our Race safe, fun and running smoothly, and to all you Racers who came out here to make this such a fun race. So I finally got around to view the West Region's ChampCar Van pace vehicle debut. Sabine Schmitz has no fears from me. It's like the Queen Mother gracefully waving at the crowd. @Bill Strong, @Doc @Paulie You are the funniest guys you know... no, no, ... still love yas no worries. Note - I had four canopy weights sliding around the back on Sunday so that's for you @Bill Strong. But enough about me. Whatcha y'all got? I know some of you have quite the trip back east or up north. Post up when you can. What a great event. Well run, lots of new teams and teams from afar. Great weather on Friday and Saturday, not too bad on Sunday. Thanks to Mike Morrison and his team for the great job, and thanks to our competitors for their sympathy. 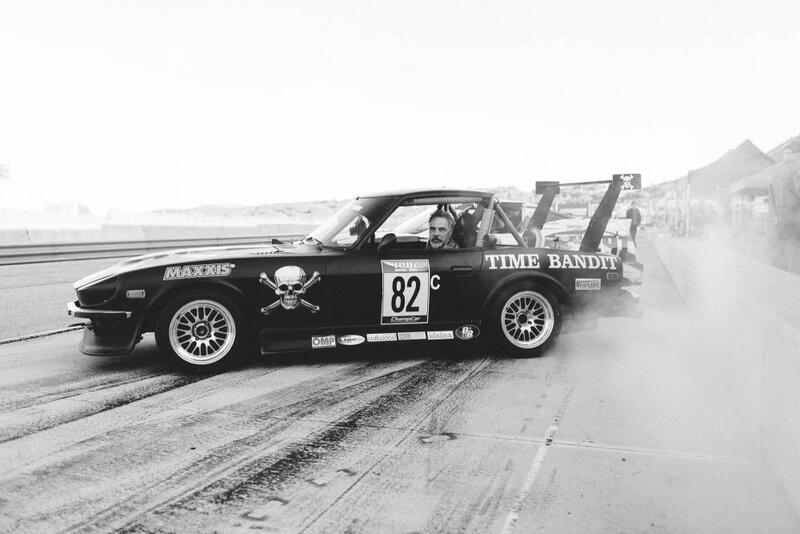 Congratulations to Van Winden, OB Racing, Time Bandits, and Arsenic Racing on the great results. See you in 2019!! 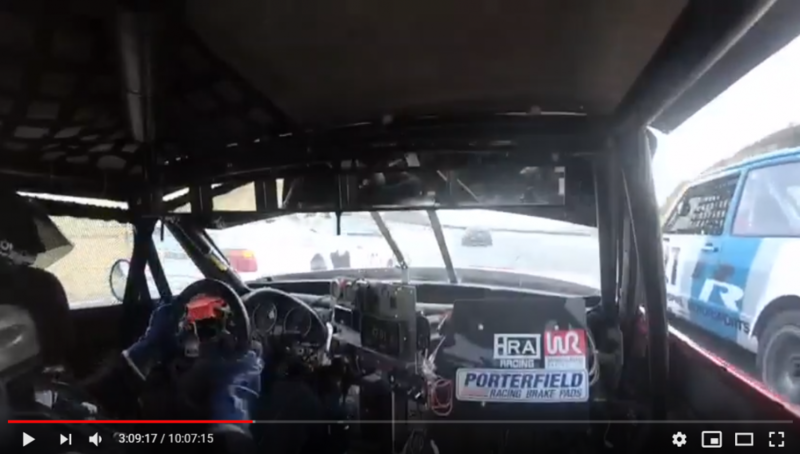 In case you would like to see Troy Ermish out for a Sunday Drive (on Friday) while turning in a leisurely 1:43 lap, here you go (it was his fourth lap on the track). The car has electric power steering, which helps with some of the one-handed driving action. In case you would like to spend some time in the car with John Morton (age 75+) during the opening laps of Saturdays race, here you go. Notice he short shifts and only applies part throttle going past the sound booth. Too bad the car owner (me) didn't take the Supplemental Rules seriously enough to come up with a with an exhaust system that complied with the 90dB rule. Once he clears some traffic and goes from sixteenth to sixth the sound police got a clear shot at him and we got the meatball up the hill to the corkscrew and at start finish. Just wondering... what transmission is installed in that beauty? How long have you been running it? Run it in any high temperature races yet? I'd be ready for it to overheat and shut down, a big problem i've had. Had a blast, thanks to the organizers and all staff for putting on a great race! We (TWOth Autosport) also spent most of Friday trying to get our exhaust under 90dB...finally managed to squeak under. Saturday was a learning day for most of our drivers as we didn't get much driving in on Friday, finished 6th overall (excluding EC, 7th if you include) which we were fairly happy with. Sunday we had a better race, our drivers were up to pace faster having had stints on Saturday. Race came to us in the end with the rain, unfortunate crash by our friends at Van Winden bumped us up into 3rd overall! Pretty stocked about that finish! I had a few good battles throughout the weekend, here are a couple short clips of some favorite moments - chasing down Van Winden unsuccessfully and then a great little battle with #30 Miata in the rain - track was super slick, was a balancing act between taking a risk and ensuring we finished the race. Had a great time, worth the trip down from Ottawa, Canada! Here is a good little clip of the white/black e36 winner from saturday squeezing me in between with the rabiit on the other side through turn 6! Also a ton of great battling with the #10 black miata for a good 30 min as well! We are using points, claiming a transmission swap, and running a T-5 transmission out of a Datsun 280ZX Turbo. When Datsun first came out with their Turbo models their transmissions couldn't handle the horsepower, so they went to the T-5 and made a bell housing to adapt it. If it works in Mustangs and Camaro's and has proven much more durable for endurance racing than the original Z car gearboxes. Our electric power steering unit was purchased from Silvermine Motors who make brake kits and other performance parts for Datsun, Lexus, and Subaru's. It uses a speedometer cable drive to modulate the amount of assist (I wish we could adjust that). The only problem we have had was that the installation instructions were a little "thin" on information, and we needed to ensure we had a really good ground. I miss the crab pot. I used a single $35 Jones muffler and pointed the exit at the ground at a 45 degree angle for our 180 whp V6 Fiero. Very simple and cheap and no meatball in 2015. Good to know. Have never seen a reading but we were almost always the quietest car on-track. Well it looks like the poor decision by the OB Prestige driver saturday morning has ended the useable life of our car. seams are split, unibody buckled down the tunnel and welds cracked around the shock towers. If anyone know of a miata caged and looking for a new home, please reach out. Well it was my birthday, I liked our chances. After watching you for a bit I felt I could trust you. Thanks ChampCar for an epic weekend. Bucket list track 3 time zones over, long commute but worth it. You run a seamless event. We know how much work it takes and it's nice to be part of a show that is fun and competitive at the same time. Keep up the great work. No complaints here! You had the run, took the line and held it! Great driving!!! 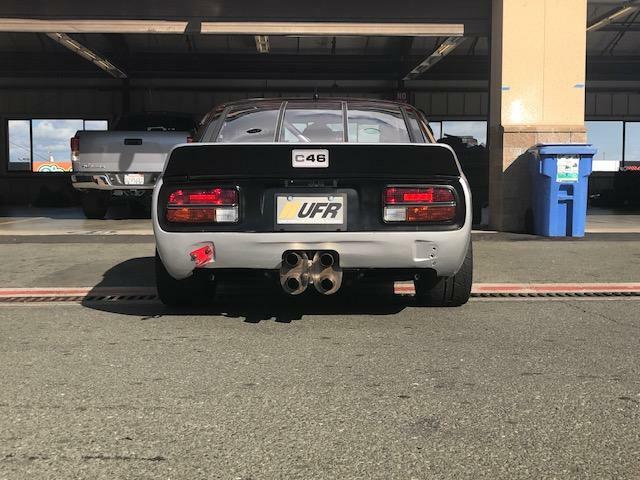 Christmas at Laguna Seca was the third race weekend for Team Farfromguten and our little '83 Scirocco and the first to give us some real trouble. Problems started during our second stint on Saturday, when our driver reported that most of the instrument cluster was dead. Fortunately he still had tach and oil temperature, so we told him to stay out. Then the shift linkage broke, and he had to be towed back to the paddock. We got the instrument cluster and linkage fixed just before lunch, but noticed that we were slowly losing coolant from a radiator seam (stupid plastic end tanks). So we procured a new radiator over lunch and installed it as soon as the green flag dropped. Then during our third stint the driver limped it into the pits because the idle set screw had come loose and he was stalling whenever he let off the gas. The second day started better. We were probably the only team wishing for the rain to come, since we saw it as an equalizer for our underpowered FWD "desert wind". Unfortunately, again right before lunch, a Miata dive bombed us into turn #2, hit us right on the driver's rear wheel, and bent the rear axle. With about 4" of toe out, we were done for the day. All in all though, it was still a fun and well-run weekend. We've already secured a replacement rear axle, and we're hoping to install a Golf Mk1 motor in time for Thunderhill so that we can be a bit more competitive and bit less of a moving roadblock.